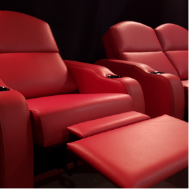 At Elite, we’re almost as crazy about movies as we are about our theater seating. 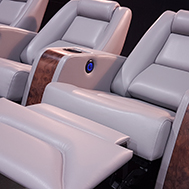 Elite Extreme is all about bringing our passion to life, and creating concept theaters and thematic ideas that perfectly sync up with our seats. 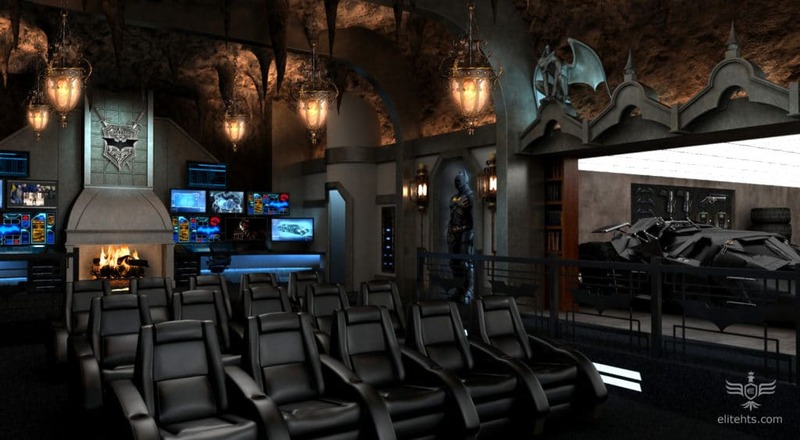 The batcave is our most popular concept we’ve ever made, garnering media attention on countless blogs and pins. 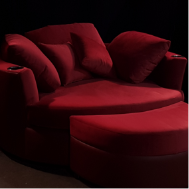 Read on to discover more about this conceptual sanctum. 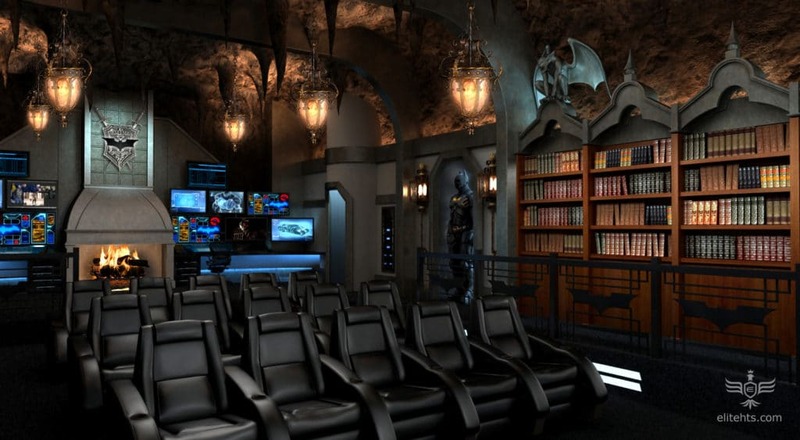 Built for a reclusive client in Greenwich, Connecticut, the ultimate Batcave cinema is a $2-million dollar escape into the world of Gotham’s most famous crime-fighter, complete with six life-sized replica Batsuits and a full security control center worthy of Alfred himself. 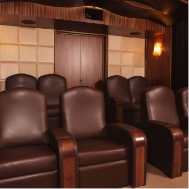 In order to gain access to this unbelievable custom theater built deep underneath our client’s sprawling estate, one must enter a secret elevator situated behind a grandfather clock in the back of a private study. Once inside the elevator, a fingerprint and retina scan is the only way to access the 12,000 sq/ft room and command center below. 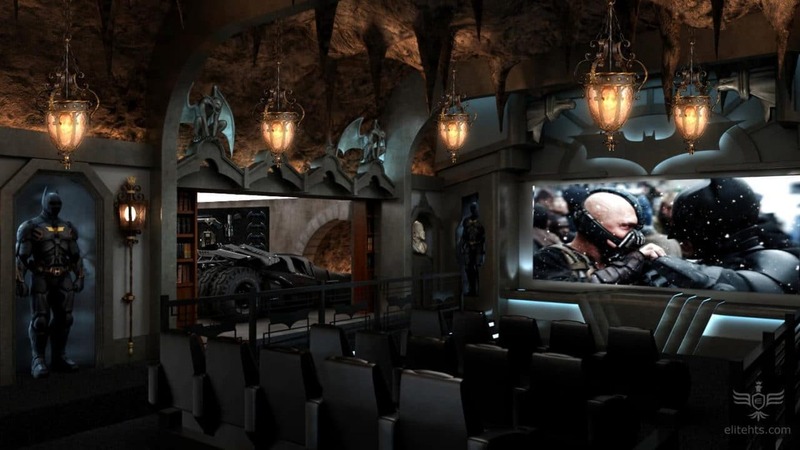 The Dark Knight-themed cave is equipped with an Austrian made 283′ 4K screen, with two of the imposing Batsuits flanking each side of the screen. 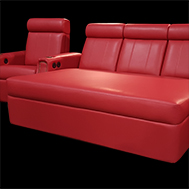 The custom theater seats are race car inspired and easily fit the style of the latest Batmobile. 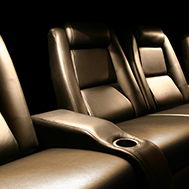 Each seat includes Crowson amplifiers, actuators, and transducers to help movie watchers feel the Batmobile’s powerful engines rumble as it races across the big screen. Speaking of which, when you pull on a specific copy of The Histories of Arkham Manor, a sliding wall reveals the Batmobile, ready to take off at a moment’s notice down a tunnel that runs towards Gotham city should the Commissioner light the Bat signal. 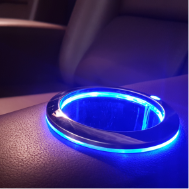 Elite HTS’s CEO, Bobby Bala, explains where the idea came from to design this room. 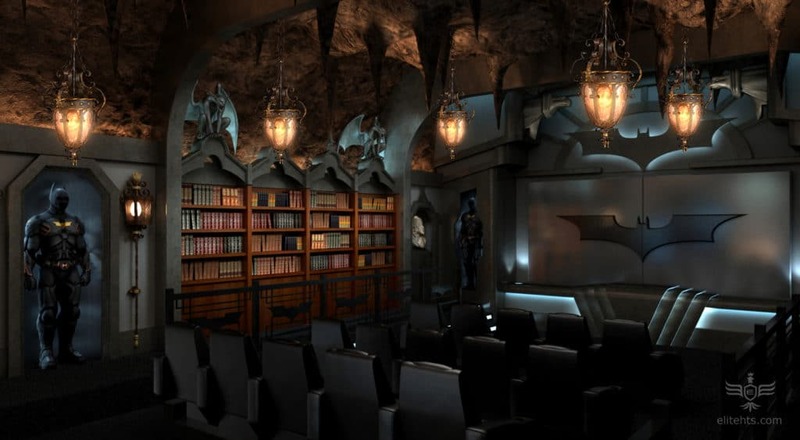 “The Batman-themed custom home theater was actually a design concept we did free of charge for one of our previous clients, mainly just for fun. 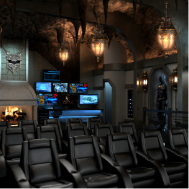 Personally, I’m a huge Batman fan and with a background in CG animation, we were able to finish up the design within a couple weeks.